Summer is (almost) here! We hope the warmer weather brings you lots of pool parties, picnics, fireworks and time with friends and family. We also hope that with all these pool parties and picnics, you don’t spend all day prepping to entertain. Like a patio umbrella on a sunny day, we’ve got you covered. With just a few clicks on Chick-fil-A’s online ordering site, your party-planning is almost complete. In addition to trays of cookies, nuggets and salads, there’s another staple party platter: the Fruit Tray. Red, blue, green and orange. Bring the tray to any event for a colorful (and easy) addition to other appetizers and sides. 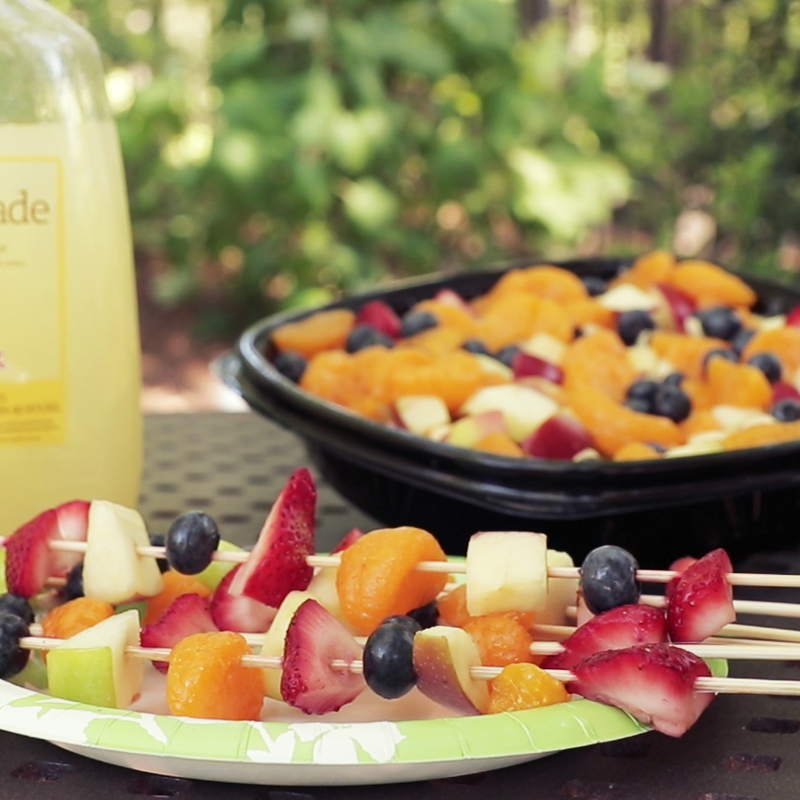 Pre-cut fruit + skewers = fancy without the effort. Each tray comes with a side of caramel sauce – perfect for dipping or drizzling on top of your skewers. 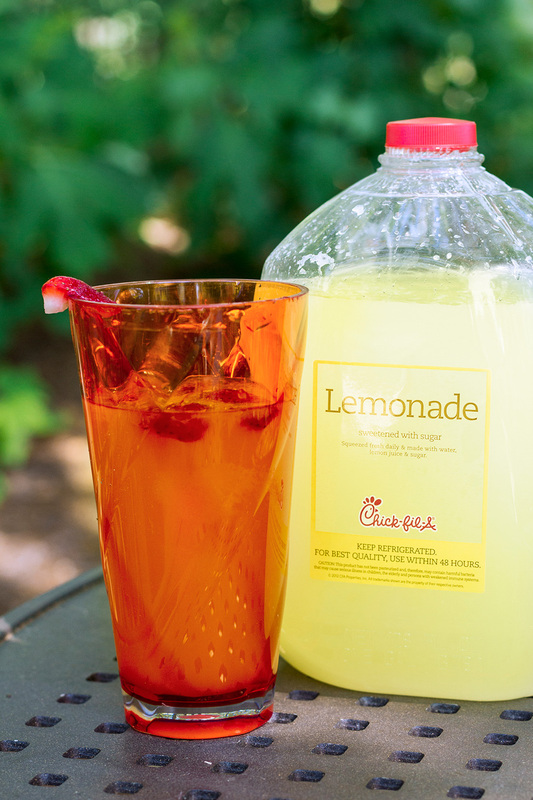 Fruit garnish makes any drink prettier – we recommend Chick-fil-A lemonade or iced-tea! So, to recap: Chick-fil-A cuts fruit, so you don’t have to. Happy summer, everyone!